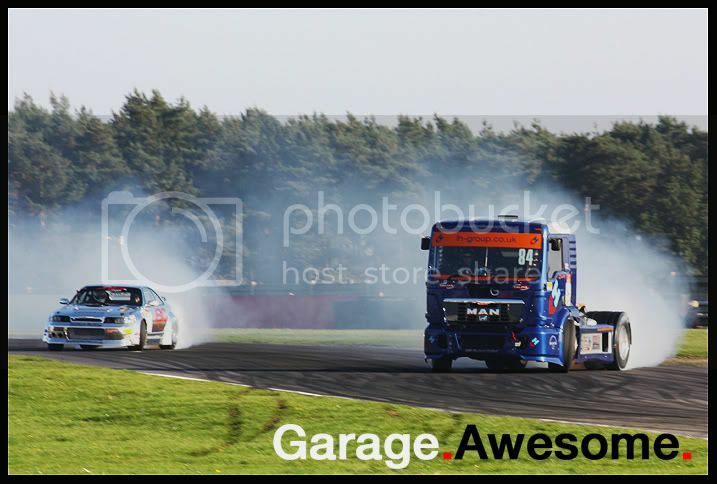 EVENT: Modified Live – Snetterton « Garage.Awesome. The guys behind Time Attack have not only managed to create a cracking motorsport series but over the last two years, and this year especially, they have also developed a brilliant series of car shows to run alongside their track events: Modified Live! Garage Awesome visited Modified Live at the last event which was Cadwell Park, and to be honest our intention was to just cover the Time Attack and Drifting events, but we couldn’t ignore the quality of cars on display in the clubstands and also one of the highest class of Show and Shine competitions running too! The weather was perfect for a car show at Snetterton with bright sunshine and not a cloud in sight, team that with a nice open space, some top facilities and track viewing areas and a good turnout from the club stands and you have the making for a brilliant show. Some impressive stands were there from clubs from all over the UK including Fast ‘N’ Modded, CMMOC, and new and fast emerging local ‘site Ridin’ So Low (see what they’ve done there?) alongside some of the UK’s top tuners in a small trade village and the might of Max Power who brought some stunning cars along from the latest issue and their large hospitality truck! On the track in between the Time Attack were some amazing demos including the mightily impressive Sumo Power GT race car version of Nissan’s GTR, along with their rally prepared Evo’s and my personal highlight of the none Time Attack action, Mat Summerfield and his amazing MAN race truck, who gave some amazing demo’s, drifting at every opportunity and at one point was twinning with the Apex Performance Skyline driven by the very brave Brett Castle, truly amazing to watch! Show and Shine saw a refreshing change, with a lot of the “usual suspect’s” cars having being tucked up for the winter or knowing some of them, already ripping them apart for a 2011 refresh! This meant we got to see a new crop of cars battling it out for the prize money and the trophies, but matching the previous rounds high quality of top show cars in each of the categories. As usual with the Modified Live event the Show and Shine competition was backed by new car care product company Kleers, with some fantastic prizes including £150 for each class winner! On to the winners then, no shortage of complicated judge’s decisions here, but the winners were all really worthy in our eyes. At the top was Paul Whitlam, who you may remember from our USC report, and his green and gold Astra Coupe who walked away this time with Best of Show! Keith Ashew’s Chevvy put on a great display on its hydraulic suspension and took home the Best Lowrider prize and in the UK Future class, it was no stranger to prizes this year, Rob Sarson with the Supra. The Retro class was won by a concours VW Bay Window Camper, which was parked next to another retro dub; this time the Mk2 Golf Rallye of Paul Williams who claimed the Best Euro trophy. Carl Firman’s Polo received the UK Here and Now prize with Rich Garry taking away the best OEM prize. The last 2 trophies went to the well presented Honda S2000 of Rich Mckee and the Nissan 300ZX of Luke Borg who won Best JDM and best DUB respectively. 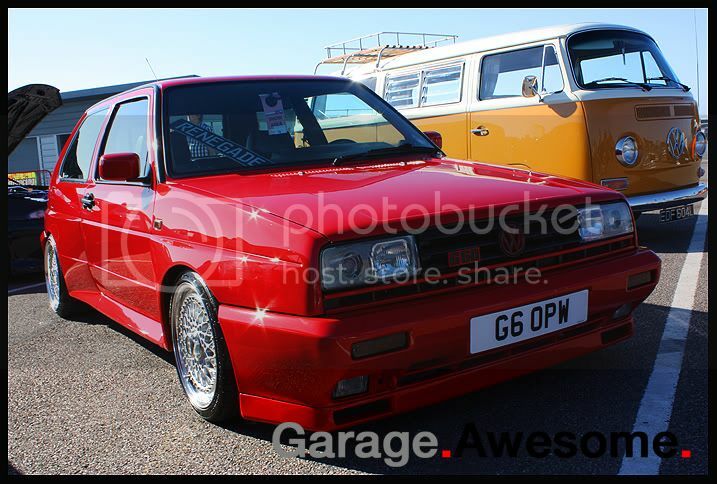 Another top day out, and something for the other show organisers to match in 2011, and with details of the 2011 Modified Live events out soon, keep it Garage Awesome for news and dates for all the action next year ready for your diary!